1 A None No Power Seat 1 A is an Economy Class Bulkhead seat. Despite LATAM's designation as a Forward + seat, this seat has restricted legroom due to the position of the Bulkhead wall. The tray table is in the armrest, making the armrest immovable and slightly reducing seat width. There is no floor storage for this seat during take-off or landing. The close proximity to the galleys, lavatory, and closet may be bothersome. 1 B None No Power Seat 1 B is an Economy Class Bulkhead seat. Despite LATAM's designation as a Forward + seat, this seat has restricted legroom due to the position of the Bulkhead wall. The tray table is in the armrest, making the armrest immovable and slightly reducing seat width. There is no floor storage for this seat during take-off or landing. The close proximity to the galleys, lavatory, and closet may be bothersome. 1 C None No Power Seat 1 C is an Economy Class Bulkhead seat. Despite LATAM's designation as a Forward + seat, this seat has restricted legroom due to the position of the Bulkhead wall. The tray table is in the armrest, making the armrest immovable and slightly reducing seat width. There is no floor storage for this seat during take-off or landing. The close proximity to the galleys, lavatory, and closet may be bothersome. 1 D None No Power Seat 1 D is an Economy Class Bulkhead seat. 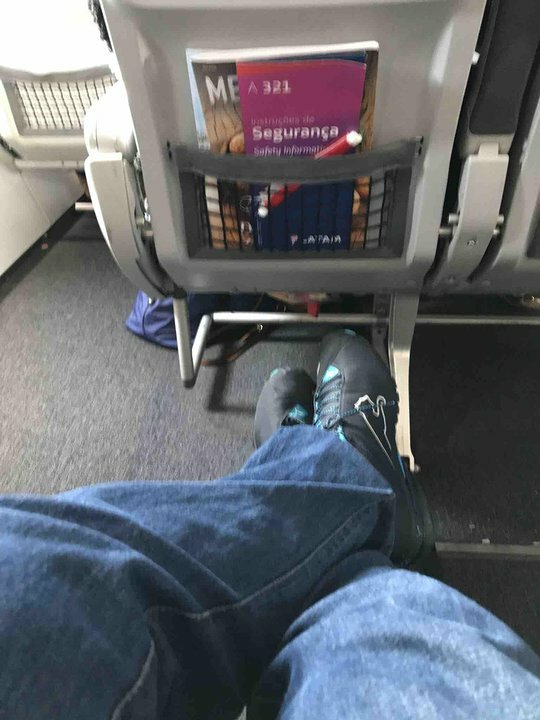 Despite LATAM's designation as a Forward + seat, this seat has restricted legroom due to the position of the Bulkhead wall. The tray table is in the armrest, making the armrest immovable and slightly reducing seat width. There is no floor storage for this seat during take-off or landing. The close proximity to the galleys, lavatory, and closet may be bothersome. 1 E None No Power Seat 1 E is an Economy Class Bulkhead seat. Despite LATAM's designation as a Forward + seat, this seat has restricted legroom due to the position of the Bulkhead wall. The tray table is in the armrest, making the armrest immovable and slightly reducing seat width. There is no floor storage for this seat during take-off or landing. The close proximity to the galleys, lavatory, and closet may be bothersome. 1 F None No Power Seat 1 F is an Economy Class Bulkhead seat. Despite LATAM's designation as a Forward + seat, this seat has restricted legroom due to the position of the Bulkhead wall. The tray table is in the armrest, making the armrest immovable and slightly reducing seat width. There is no floor storage for this seat during take-off or landing. The close proximity to the galleys, lavatory, and closet may be bothersome. 10 B None No Power Seat 10 B is an Economy Class seat with limited recline due to the Exit Row behind. 10 C None No Power Seat 10 C is an Economy Class seat with limited recline due to the Exit Row behind. 10 D None No Power Seat 10 D is an Economy Class seat with limited recline due to the Exit Row behind. 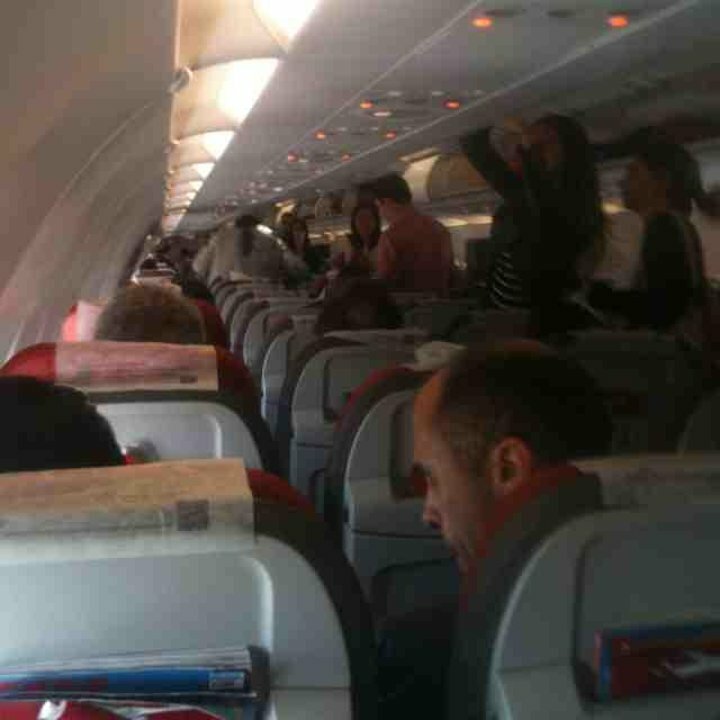 10 E None No Power Seat 10 E is an Economy Class seat with limited recline due to the Exit Row behind. 11 B None No Power Seat 11 B is an Economy Class Exit Row seat with extra legroom that is designated by LATAM as a Space + seat. The tray table is in the armrest, making the armrest immovable and slightly reducing seat width. There is no floor storage for this seat during take-off or landing. 11 C None No Power Seat 11 C is an Economy Class Exit Row seat with extra legroom that is designated by LATAM as a Space + seat. The tray table is in the armrest, making the armrest immovable and slightly reducing seat width. There is no floor storage for this seat during take-off or landing. 11 D None No Power Seat 11 D is an Economy Class Exit Row seat with extra legroom that is designated by LATAM as a Space + seat. The tray table is in the armrest, making the armrest immovable and slightly reducing seat width. There is no floor storage for this seat during take-off or landing. 11 E None No Power Seat 11 E is an Economy Class Exit Row seat with extra legroom that is designated by LATAM as a Space + seat. The tray table is in the armrest, making the armrest immovable and slightly reducing seat width. There is no floor storage for this seat during take-off or landing. 12 A None No Power Seat 12 A is an Economy Class Exit Row seat with extra legroom that is designated by LATAM as a Space + seat. The tray table is in the armrest, making the armrest immovable and slightly reducing seat width. There is no floor storage for this seat during take-off or landing. 12 F None No Power Seat 12 F is an Economy Class Exit Row seat with extra legroom that is designated by LATAM as a Space + seat. The tray table is in the armrest, making the armrest immovable and slightly reducing seat width. There is no floor storage for this seat during take-off or landing. 24 B None No Power Seat 24 B is an Economy Class seat with limited recline due to the Exit Row behind. 24 C None No Power Seat 24 C is an Economy Class seat with limited recline due to the Exit Row behind. 24 D None No Power Seat 24 D is an Economy Class seat with limited recline due to the Exit Row behind. 24 E None No Power Seat 24 E is an Economy Class seat with limited recline due to the Exit Row behind. 25 B None No Power Seat 25 B is an Economy Class Exit Row seat with extra legroom that LATAM designates as a Space + seat. The tray table is in the armrest, making the armrest immovable and slightly reducing seat width. There is no floor storage for this seat during take-off or landing. 25 C None No Power Seat 25 C is an Economy Class Exit Row seat with extra legroom that LATAM designates as a Space + seat. The tray table is in the armrest, making the armrest immovable and slightly reducing seat width. There is no floor storage for this seat during take-off or landing. 25 D None No Power Seat 25 D is an Economy Class Exit Row seat with extra legroom that LATAM designates as a Space + seat. The tray table is in the armrest, making the armrest immovable and slightly reducing seat width. There is no floor storage for this seat during take-off or landing. 25 E None No Power Seat 25 E is an Economy Class Exit Row seat with extra legroom that LATAM designates as a Space + seat. The tray table is in the armrest, making the armrest immovable and slightly reducing seat width. There is no floor storage for this seat during take-off or landing. 26 A None No Power Seat 26 A is an Economy Class Exit Row seat with extra legroom due to the missing seat in front and is designated by LATAM as a Space + seat. The tray table is in the armrest, making the armrest immovable and slightly reducing seat width. There is no floor storage for this seat during take-off or landing. 26 F None No Power Seat 26 F is an Economy Class Exit Row seat with extra legroom due to the missing seat in front and is designated by LATAM as a Space + seat. The tray table is in the armrest, making the armrest immovable and slightly reducing seat width. There is no floor storage for this seat during take-off or landing. 38 A None No Power Seat 38 A is an Economy Class seat in the last row of the plane with limited recline. The close proximity to the lavatories and galley may be bothersome. 38 B None No Power Seat 38 B is an Economy Class seat in the last row of the plane with limited recline. The close proximity to the lavatories and galley may be bothersome. 38 C None No Power Seat 38 C is an Economy Class seat in the last row of the plane with limited recline. The close proximity to the lavatories and galley may be bothersome. 38 D None No Power Seat 38 D is an Economy Class seat in the last row of the plane with limited recline. The close proximity to the lavatories and galley may be bothersome. 38 E None No Power Seat 38 E is an Economy Class seat in the last row of the plane with limited recline. The close proximity to the lavatories and galley may be bothersome. 38 F None No Power Seat 38 F is an Economy Class seat in the last row of the plane with limited recline. The close proximity to the lavatories and galley may be bothersome. LATAM flies the Airbus A321 with 220 seats in a one-class configuration of Economy. This aircraft is used on a variety of routes, including regional routes within South America. Row 1 seats are Forward + and select seats in rows 11, 12, 25, and 26 are Space + seats which LATAM charges an extra fee to reserve. Forward+ and Space + seats are an Economy Class product that offer additional legroom for passengers who choose to purchase them. This is a miserable flight at any length. I fly this plane 4 times a year on a 2.5-3 hour flight and it's the worst part of my travel. The seats are slim with no cushion. 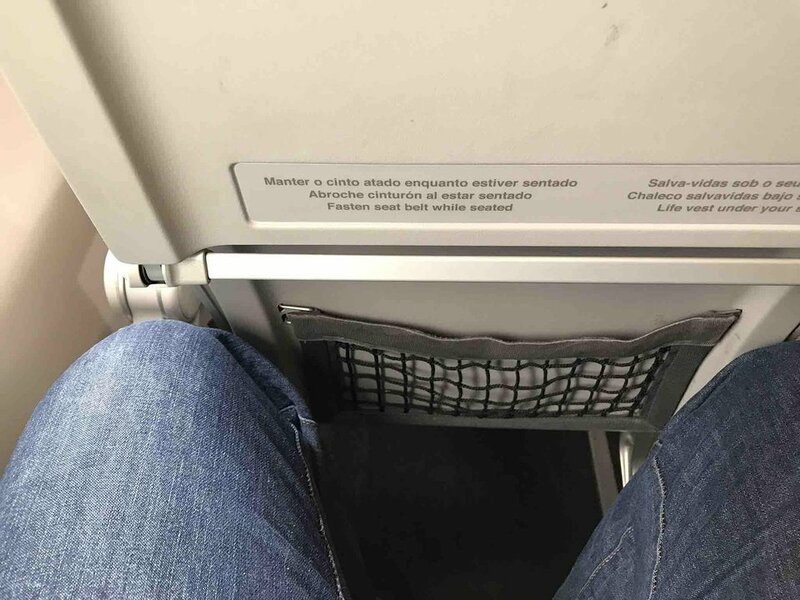 I'm 5'9" and my knees touch the row in front of me when I try to relax. A/C is usually warm and uncomfortable. Plus, LATAM has switched to charging for drinks, except water, which makes travel with them even worse. There are no good seats, except those towards the front so you can leave as quickly as possible. My wife and I were in 10E and 10F, and I believe this configuration is the same for rows 11, 24, and 25. The seat has limited recline, as Seatguru notes. However, Seatguru omits the fact that these seats are significantly narrower than the other seats (e.g., rows 1-9, 12-23, 26-38). My estimation is 1 inch less width for each of these seats. 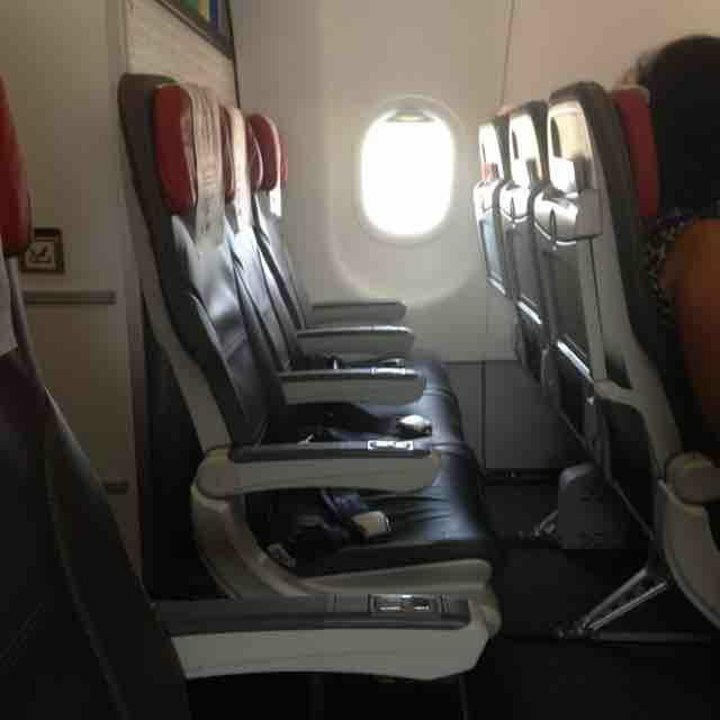 Tam configures this aircraft to the maximum legal number of seats (220), making it a very uncomfortable experience for the customer. I´m not a tall person by any means (1,70m/5ft 7in), and still felt quite cramped. 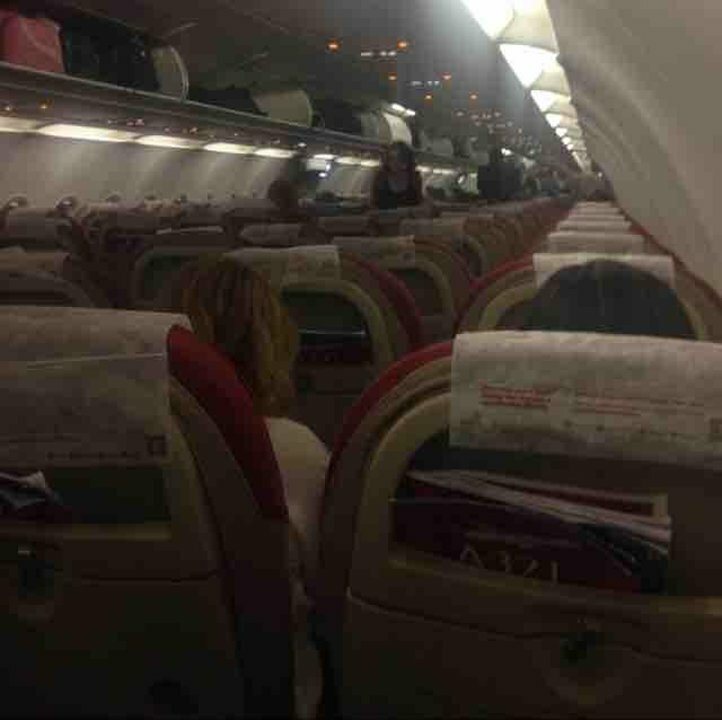 The fact that these aircraft are mostly used in +/-3h long flights adds to the discomfort. If you can make a choice, fly Gol (if you're on a tight budget) or try Avianca and Azul airlines for world class services. He volado desde CBA a GRU, y desde GRU a SSA, ida y vuelta. Una vergüenza y falta de respeto al pasajero la comodidad y falta de espacio en los asientos. Nunca más usaremos esta aerolínea. I recently flew on an A321 from FOR to GRU. Like most of the seats on small planes like this one, I believe there isn't enough leg room, and that the company could take out one or two rows to space out all the other rows and give the passengers more leg room. However the TAM service is great, and I appreciate regularly using this airline for traveling. LATAM Brasil flies 1 versions of Airbus A321-200.